Resources | Where is @rusnivek? Also known as the city’s Emergency Operations Center too. Diverse groups today with a strong showing from our Department of Defense and local public safety professionals. This kind of joint training provides us the opportunities to build stronger partnerships and even strengthen the preexisting bonds with DoD assets including a few special teams. Lots of group work as participants figure out priorities and challenges during the first few hours and into the first/second operational period. But working through the issues in a calm classroom will help reduce the amount of stress during an actual emergency. Finding out strengths and gaps and addressing them so that everyone can respond better to any incident. That’s right enhancing response capabilities. And also proof, if you teach it right, you can get people to smile in my ICS classes. Great work from all participants – lotsa participation from everyone! 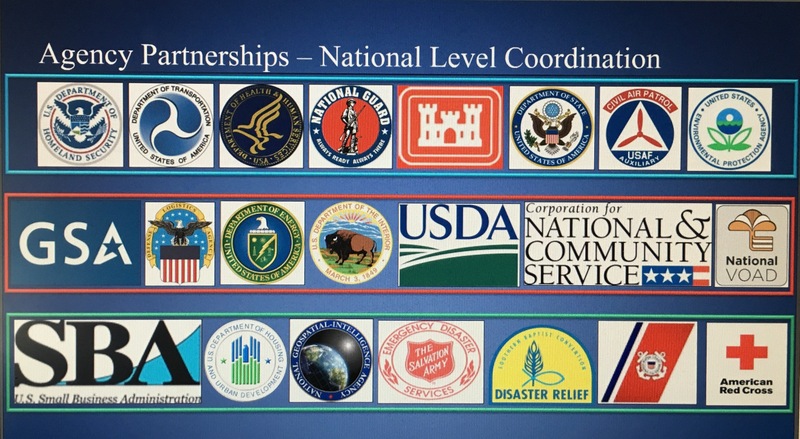 Glad to see so much collaboration from local, county, state, Federal, and DoD assets. And as always, thank you for your service to our great country. Happy birthday Marty. It’s a great first day. Looking forward to the next two days! Busy morning yesterday and today. Lots of preparation going on for Hurricane Harvey. 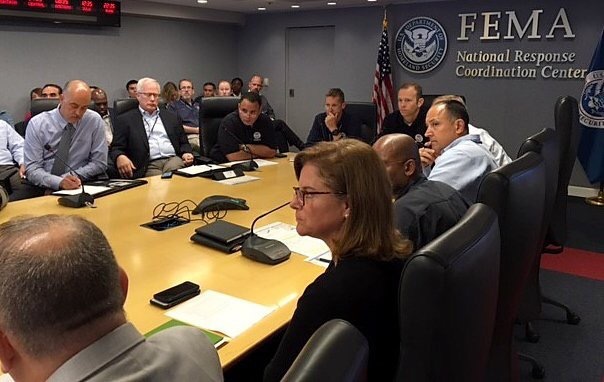 So many hard-working Emergency Management pros from FEMA are working the magic to support those in the path of Hurricane Harvey with coordination of resources for deployment. Really enjoying sharing and highlighting our plans for our partners in public safety. We talked about a ton of them this week in the ICS-400 classes this week. Yes, to enhance your disaster knowledge, consider reading through the above documents. But within these plans, many government agencies have tons of resources available. Lots of peeps to work with. Day-5: Final day of the DHS/FEMA Ohio EMA All-Hazards Incident Management Team Logistics Section Chief course. Again, special thanks to FEMA USAR Ohio Task Force-1 for hosting this week. Solid morning as we talked about how the LSC frequently meets with the PSC well before much of the action happens. In fact, it is likely that the LSC is at least 5 steps ahead of the OSC – to plan to supply and equip our tactical operations with the stuff they need. Ohio EMA LSC Phil Johnson brief the class on how county agencies interact with our activated State EOC focusing in on resource ordering and task assignments. Like good Logistics Section Chiefs, we debated the merits of pre-staging resources before they are needed for faster deployments and anticipating needs (leaning in). Lots of discussion on EMAC and the success that the State of Ohio had with 2016 events including the 2016 Republican National Convention which was classified as a NSSE. We discussed demobilization plans as well as factors that could contribute to delayed demob. As always, we emphasize on the safe return of all crews from disaster deployment. At the end of the day, we were able to tour the DHS/FEMA USAR OH-TF-1 facility. Logistics plays a HUGE part of daily operations as they have thousands and thousands of pieces of deployable items needed for disaster operations. So as you can see, LSCs have an insurmountable task of keeping order during non-disaster times. For those in the military and are truly Logistics pees, I believe this is an amazing piece of equipment. If you are a pro, and like to sling load your stuff, you should consider getting a few. Special thanks to all the pros from DHS/FEMA Ohio USAR Task Force-1. Yes it’s Friday. Look closely. That is an Aloha Shirt. Superb ending of class with participants from numerous states on this #AlohaFriday! Proud to serve my country and train other IMT LSCs from across this great nation. Third and final day of the Ohio EMA ICS-300 course at Belmont College. Mid morning, we had lots of great discussion for formal demobilization plans as well priority release procedures. Our class had some serious discussion on cost vs expectations on resources. If you’ve ever been deployed to a disaster, you know exactly what I’m talking about. Rounding out to the last module, almost test time! After the class was over, I was able to score a visit to Belmont County 911 dispatch center for our class. So I invited the whole class to attend too! Special thanks to Mr. Hudak for the tour and detailed explanation on normal operations in their Public Safety Answering Point (PSAP) / 911 call center. Our class then moved over to the Belmont County Emergency Management Agency where our class was given a formal tour of their Emergency Operation Center (EOC). They just happen to be monitoring Hurricane Matthew – so that made it even better for all participants to see how this EOC can monitor any situation in real time. Thank you Belmont County EMA! Positions ready…Executive Policy Room ready…ARES Comms center ready…fully operational…who could ask for anything more?!!?!? Even the bonus resources they have were great to see how they could support operations and paint a better picture to increase situational awareness / common operating picture (SA/COP). Gah, I see this EOC being a great resource for many all hazards partners in public safety. Great to showcase the efforts of local emergency management professionals and how they pair with Ohio Emergency Management Agency (OEMA). Special thanks to Glenn Trudo and Belmont College for being such gracious hosts for the OEMA ICS-300 class. Very true esp in Emergency Management and Emergency Services. Don’t fake it, take the time to know your resources. 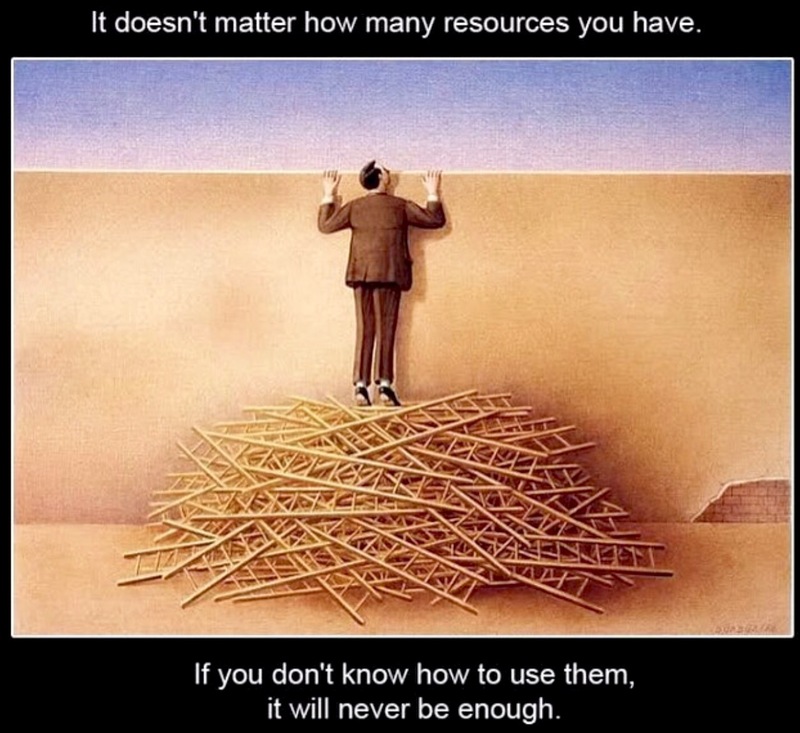 Know your resources, learn about your resources, embrace your resources, support all your resources, don’t play favorites, and then train/exercise with all your resources. Your first hand knowledge of your resources will set you apart from other fake managers. People look to you during an emergency or disaster. Set the example and be the catalyst of something great within your community. 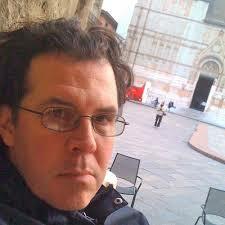 Check out all the updated documents and links here. Special thanks to Scott for keeping this updated!